Beautiful park-like setting! Mostly level ground with lots of shade trees, located within a mile of the confluence of the Spokane River and Columbia River and 2 Rivers Casino and marina and state park. Just up the road from Fort Spokane, a historical site. 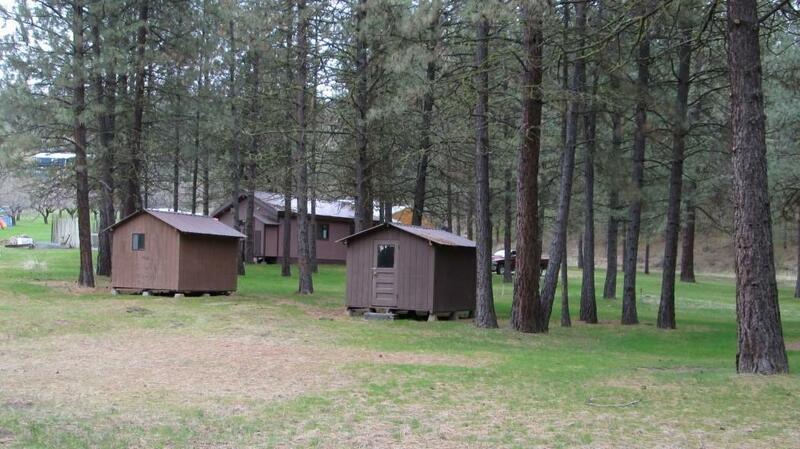 This family compound has 20&apos;x24&apos; cabin all plumbed with kitchen and bathroom. Well serves cabin and two bunk houses, 2 cook shacks, and many RV sites (septic permitted for 6 sites, but there are more). Borders State Park Service Land. Legal septic.